Home Celebrity ﻿The Terrible Two of Big Boss Season 12! The reality show Big Boss is known for controversies and shocking the audience with different and usual contestants. This season, television viewers were taken aback with the news of a romance blossoming between devotional singer Anup Jalota and Jasleen Matharu. They have been identified as the “Vichitra Jodi” of the season, but many find the relationship to be gross and inappropriate. We would surely term it as the “Terrible Two” of Big Boss season 12. With the season premiere of the show, the romantic revelation of Jalota and Matharu created a stir of surprise and blazed the television show with their presence. Speculations were created all around the media about Jasleen and Anup Jalota dating each other or have they broken up? Things were never clear To clear it all came Big Boss! The Big Boss binge watchers were pleased to know that Jasleen Matharu has accepted her ongoing relationship status with Anup Jalota. Things were clear now! Dating?? Yes, Dating! Jasleen Matharu and Anup Jalota have an age of gap of about 37 years. Seeing their pictures and romantic gestures, we can surely feel that this age gape does not bother their equation. According to Matharu, her relationship with Anup Jalota has been all cozy for three and a half years now. Guys, it is not new! Surely, it came as shock to everyone, even Matharu’s family. Now staying in the Big Boss house, the couple has been experiencing mixed reaction from the audience and all the other contestants. But they do not care, on the contrary, both Jalota and Matharu feel that Big Boss is that perfect opportunity where they can spend some quality time together which anyways does not happen due to Jalota’s busy schedule. We feel bad for you sweetheart! According to Matharu’s father, Jalota, a 65-year-old popular bhajan singer met Jasleen Matharu, age 28 at a recording studio in Andheri. At first, he felt that Jalota would be a misfit for his daughter, but now he has to accept it all. In an interview, Kesar Matharu, (Jasleen’s father) revealed that the family received this news while watching the show. He did not approve of the relationship at first. He also remarked that he would refrain from giving blessings to the couple and also keep a distance from his daughter. When Salman Khan mock asked Jasleen what would she name this relationship? Jasleen without any hesitations gave a reference from a movie title and said it all loud and clear “Hum Dil De Chuke Sanam”. This surely raised the cringe level amidst the audience. What do you say? Big Boss watchers would know that in the mad filled house, Jalota goes on with his usual routine of singing and spreading spirituality. Jasleen takes care of his daily needs and his health. This is their gesture of expressing love and respect. How do you show your love? The couple has conducted themselves well in the show by maintaining a low profile. Recently, in an episode preview, Jasleen has been given a task to save Jalota by destroying her clothes and chopping her hair. The task was assigned by Dipika Kakar, another contestant in the house. Jasleen seemed teary-eyed, and was even questioned by Jalota about her fidelity. This raised the question of whether their relationship is real or just a stunt to gain publicity. Evicted members, Kirti Verma, and Roshmi Banik, stated that their relationship is actually real. Jasleen had made a contradictory statement on this relationship, saying “There is no name to this relationship. He is my teacher”. When prodded by Salman Khan, she said that it is inappropriate to call someone of Jalota’s age as her boyfriend. The contrasting statements of the couple and by the other contestants of the show have created a controversy when it comes to their relationship’s validity. We all are are eager to see what will Jasleen Matharu’s do. Things aren’t done yet guys, we have more for you! Adding fuel to the fire, a dark secret of Jasleen Matharu and Anup Jalota’s relationship surfaced the media. The news claimed that about an year ago, Matharu was pregnant and had to abort Jalota’s baby. The source of this news came from Jalota’s confidante, Aneesha Singh. The news created rifts between the couple. They fought as Jalota refused to bear the responsibility and admit his fault. A few days later, Jasleen aborted the baby. The source also pointed fingers on Jasleen’s loyalty towards Jalota, as she had been cheating on him with a secret boyfriend in the United Kingdoms. What a mess! Jalota was insecure in his relationship and sought help from his close friends. Jasleen Matharu denied the claim of ever cheating on Jalota. Whatever their relationship status is, the couple became a controversial figure and we are loving it all! The internet users have not spared them. With the announcement of their relationship on Big Boss season 12 season premiere, the trollers flooded all possible social media pages with hilarious jokes and memes on their status.. The troll still continues as Big Boss airs the episodes, making Jalota and Matharu’s relationship a laughing stock in the television media. Are you guys loving this ‘Vichitra-Jodi” of BB-12? What meme did you love the most? Share it with us on the comment section down below! 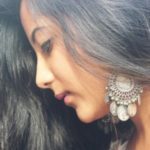 Next articleTanushree Dutta-Nana Patekar Controversy!